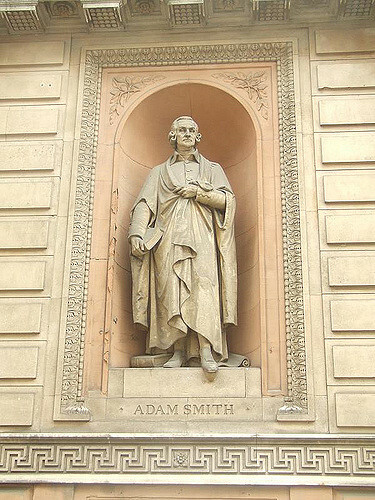 Adam Smith is one of the founding figures of capitalism. As such, it is often falsely derived that he was a staunch defender of the free market and small government. Whilst Smith certainly believed in the good of capitalism, he was aware of the need to regulate the market, as well as of the potential adverse social effects that capitalism can produce. In other words, he was no Milton Friedman. Putting aside these reservations, Smith nonetheless thought that an economic system underpinned by private property, trade, and barter as well as the accumulation of wealth is conducive to human flourishing and thus the best option available. Smith believed humans have a natural capacity for empathy. He thought that by simply witnessing the sadness, anxieties, and joys of others, men are capable of experiencing these feeling themselves. However, Smith noted that it is easier and more pleasant for men to feel the success and joy of their peers than it is to feel for their misery and desperation. Smith also suggested that we are driven by the need to receive empathy from others, which he describes as a desire to be “attended to.” The social tendency of men can thus be characterized as both the capacity to empathize with others and the desire to be empathized with. In a capitalist society, the individuals who radiate success and joy, and are thus easier to empathize with, are the rich and powerful. Smith’s aforementioned belief in our natural capacity for empathy thus implies that we can feel joy simply by “attending to” successful people, and imagining what it would be like to be in their position. As a result, the rich and powerful come to be respected while the poor are neglected and despised. Smith was wary of this: he thought that this disposition to pursue wealth and flatter the rich often comes at the cost of truth, virtue, and wisdom. Indeed, in his words, he thought it was the “most universal cause of the corruption of our moral sentiments.”  In Smith’s conception, the desire to be admired also leads to a life of deceit, where frivolities and superficial things are thought to be the conveyors of happiness. 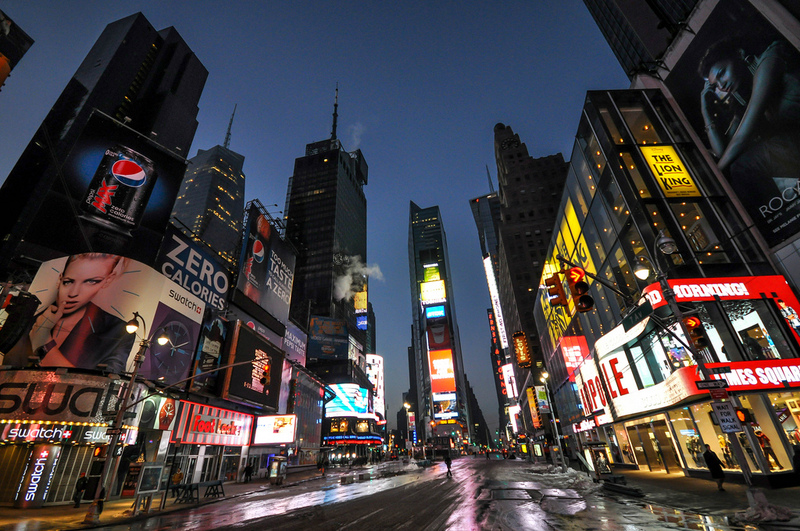 As a result, driven by a desire for attributes such as prestige and admiration, men in capitalist society are likely to spend their lives chasing symbols of status. According to Smith, such a life lacks meaning as it often abstracts men from finding real fulfillment. However, Smith also believed that it was this deception “which rouses and keeps in continual motion the industry of mankind.”  In other words, even if commerce condemns men to a deceitful pursuit of happiness, it has nonetheless contributed toward the advance of society by, for example, producing technologies and inventions that have made our lives, on the whole, more commodious and pleasant. More fundamentally, apart from commodity and comfort, the important question that remains for Smith is why we should accept a system that corrupts our morals, that leads us to a deceitful pursuit of happiness, and does not promote the importance of morality and wisdom. As a proto-liberal, Smith believed that the government should protect the individual liberties of citizens, including economic and capitalist ones. He understood capitalism to be an inherent component of the alternative to despotism. As a result, the deceitful pursuit of happiness inherent to capitalism can be understood as a necessary but unfortunate byproduct of an otherwise stable and secure system. If all men were, in fact, equally free to pursue and potentially attain glory and power, capitalism could be correctly characterized as a system of empty promises necessary for the peace of mankind. If men were all equally free to naively chase material frivolities, then perhaps Smith’s defense of the deceitful, yet coddling life under capitalism would hold. Indeed, in such a situation one could say that while commerce may leave men feeling empty and unsatisfied, it offers them security, peace, and tranquility. The problem is that commercial society did not evolve to accommodate basic social justice. On the contrary, it was founded on macro-level structures of injustice that led to a thriving minority at the cost of a suffering majority. The legacies of these historical injustices, may it be colonialism, slavery or the second-rate legal status of women, pervade contemporary society. White men, simply by virtue of their race and gender, are born with an entrenched advantage and are thus more likely to attain positions of power where they are glorified and respected – all the while being held to a lower standard of accountability. It is unlikely that Smith would have agreed with such injustices. Indeed, in order to somewhat alleviate the possible determinants of capitalism, he was an advocate for social safety nets. However, thus far, such institutional safeguards, when implemented, have not been successful, thereby raising the question of whether we can truly hope to curb the injustice on which capitalist systems are built. Overall, the existence of institutionalized injustice means that life under capitalism for marginalized groups, such as women and people of color, is not only void of meaning, but violent and anxiety-filled. Some people cannot dedicate themselves to the senseless, yet peaceful, pursuit of commodities because of the social obstacles that they face. For example, one cannot operate in a system in which one is constantly confronted by the possibility of being arbitrarily murdered by the police, fearing that their words will not be believed, or simply facing the threat of not being able to afford food the next day. For these people, there is no deceit in a capitalist society. For members of these groups, capitalism has not succeeded in eliminating the concerns that would exist in a society of political despotism: for a large part of society, insecurities and threats remain. It is thus questionable whether capitalism truly is the “best alternative” that thereby justifies its deficits. After all, for many members of society, the capitalist system has proven to be in some ways as dangerous as a despotic society. To them, the system is brutal and oppressive, not illusory and sheltered. Feature image by Jorge Lascar via Flickr Creative Commons.